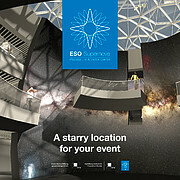 The ESO Supernova Planetarium & Visitor Centre offers unique venue alternatives for event organisers in Munich. Our events brochure provides information about the spaces for hire and the available services. The centre can cater for events ranging from conferences, meetings, and workshops to cocktail parties and other evening events. The centre has two highlights in terms of venue alternatives. The 360-degree planetarium offers an immersive and spectacular environment. The Void is a spherical room displaying the Milky Way Galaxy on its walls, and its star roof can light up with the constellations of the Southern Hemisphere. Other spaces include the 2200 m2 exhibition area, two seminar rooms and the open-air rooftop terrace from which the Alps are visible on a clear day. Any event for which the ESO Supernova is chosen as the host venue will benefit from parking, cloakroom access, and wifi throughout the building. We can also recommend local catering services should you require, as well as vendors who can provide technical equipment such as screens, projectors and sound systems. 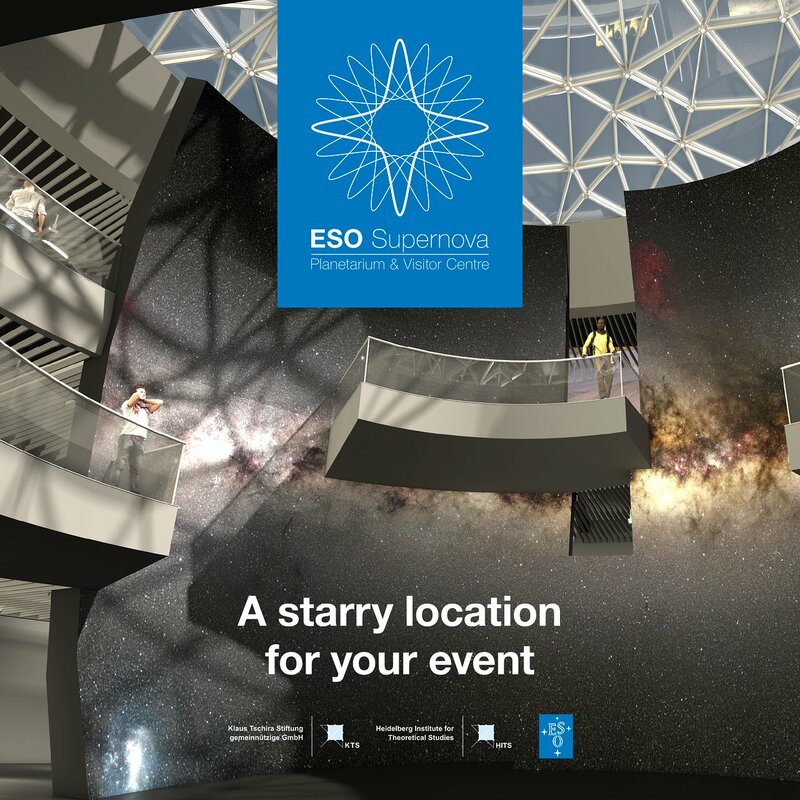 The ESO Supernova Planetarium & Visitor Centre will have its official inauguration event on 26 April 2018, and it will open to the public on 28 April 2018. More details about events can be found here. The brochure is available in English and in German.